Kylee was diagnosed with a very rare form of Leukemia, Blastic Plasmacytoid Dendritic Cell Neoplasm, officially on May 2, 2016. We began our journey the beginning of 2016 not knowing what battle was ahead of us. She had what looked like a bruise on the side of her face that was not going away and was actually growing. After visits to the pediatrician, dermatologist and plastic surgeon, we did a punch biopsy on the cheek to determine what the mass was next to her eye. It never hurt but changed consistency and shape over time. The biopsy came back that it was a pseudo lymphoma…a mass of white blood cells attacking an infection. At the time, we didn’t know what the infection was. In February, Kylee had a spot pop up on her chest. As time progressed, the spot changed from feeling like a pea under the skin to a larger flat area of a different color. As a mom, I had a feeling. I got her into UK Children’s Hospital that week. We went through 5 more skin biopsies on her back of different spots. These were sent to 5 different pathology labs coming back with an unconfirmed diagnosis. They sent the biopsies to the National Cancer Institute in Bethesda, Maryland to get an answer. They needed additional skin tissues for diagnosis. 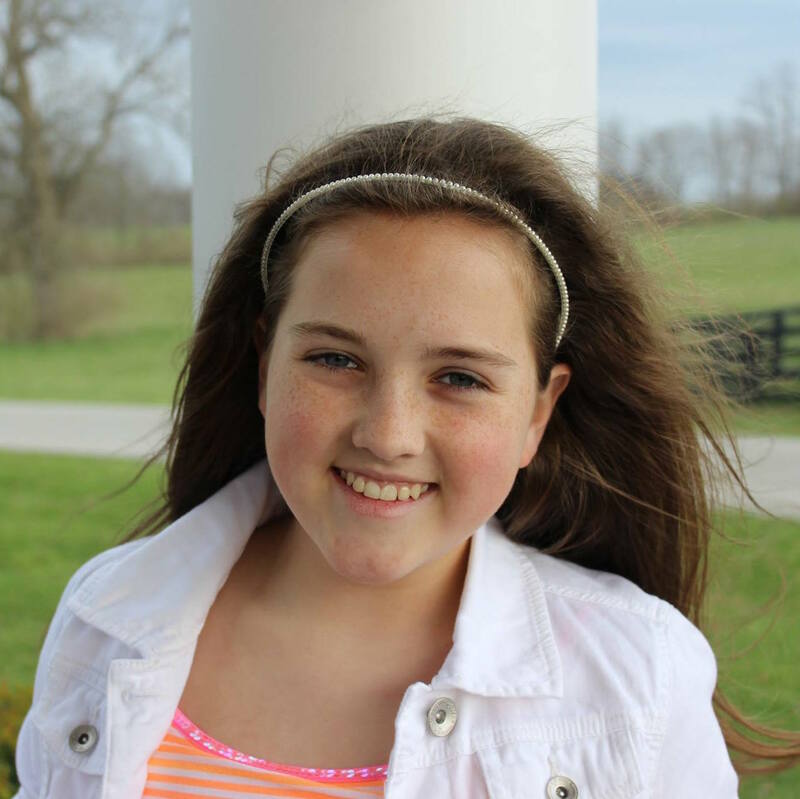 We got a final confirmation on May 2nd that Kylee had this rare form of leukemia for adolescents…number 26 in the world under 21 to be diagnosed. We started treatment the day after confirmation. We checked into UK Children’s Hospital Tuesday morning, she was taken in for an echo, went into surgery to have a port surgically inserted into her chest, a bone marrow biopsy, and a spinal tap. That evening she had her first chemotherapy treatment. We are going day to day with the treatment plan. There is not a current prognosis that is in place due to the rare number of cases in people under 21. At this time, the treatment plan that was designed by oncologists across the country is working well. We will stay on this game plan for the next 2 ½ years or until the plan changes based on effectiveness. Hayden’s fight began when he was just a baby. At around 3 months old, we noticed that Hayden began to have trouble taking his bottle. He would scream and cry after every feeding. We began to suspect something was wrong. We went to doctor after doctor and begged and pleaded for them to help our son. Despite many tests and trips to the ER, no one had any answers. 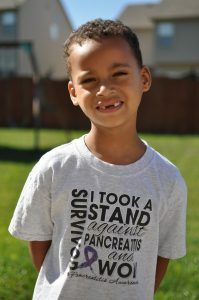 Shortly before his second birthday, he was finally diagnosed with chronic pancreatitis. Imaging later showed so much damage to his pancreas that the doctors concluded he had likely been having attacks his entire life. Tests revealed that Hayden has a gene mutation that was causing his frequent episodes of pancreatitis. By the time Hayden was 4 years old, he had been hospitalized 25 times for pancreatitis. On May 26th an amazing team of doctors at Cincinnati Children’s Hospital gave Hayden a chance at a new pain free life. He underwent a total pancreatectomy with islet autotransplantation. During the surgery they removed his pancreas, gallbladder, spleen, appendix, part of the duodenum, and transplanted the islet cells from his pancreas into his liver in hopes of lessening his need for insulin to control his blood sugar in the future. Hayden has come leaps and bounds in the last 3 months. His journey after surgery has not been without struggle, but he is now living a pain free life for the first time in 5 long years.